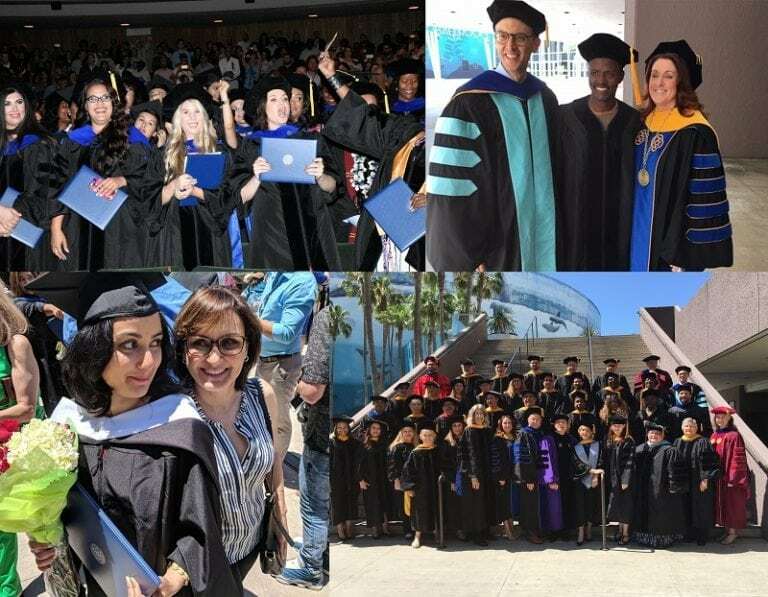 More than 230 Chicago School graduates from the SoCal and Online campuses, and about a thousand of their friends and family filled the Long Beach Terrace Theatre to celebrate the momentous occasion that is commencement. “There is a need for you,” stated Dr. Nealon. “(As) professionals with the tools and compassion to meet challenges and improve lives,” for a nation, she continued, that is struggling to find a common voice. And lastly, both the Distinguished Alumna, Dr. Trisha Elloyan, and the Honorary Degree recipient, Dr. Elyn Saks, emphasized the important responsibilities facing the graduates as they transition into vital mental health professionals in society. The Chicago Campus Commencement will take place on July 6 and the Washington, D.C. Campus Commencement will be held October 26.